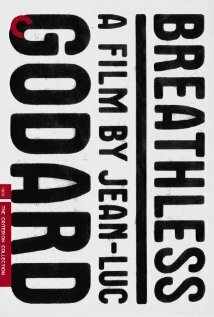 Drama Re-issue of Jean-Luc Godard's seminal 1960 thriller, remade some years later as the misfiring Richard Gere film, Breathless. Michel is a young man, prone to random acts of violence, who shoots a cop and takes refuge with his American student girlfriend Patricia. Hoping to escape to Italy, the lovers steal cars to raise money for their fare, but the authorities are hot on the trail. Breathless (A Bout De Souffle) is not currently showing anywhere.